Beautiful property. Well furnished and tastefully decorated. The views front and back are truly amazing! Great neighborhood for dog walking. We loved it and would come back. We love the large open area that encompasses the kitchen, living an dining area and the window seats! Just a great space for group gatherings. Beautiful, relaxing, quiet, perfect!! The hot tub was incredible and the peaceful neighborhood was fabulous. Also loved that the cross country track was so close and easy to get to. Christina was great in handling our reservations, inquiries and the one issue when the TV did not work. CJ was also great dealing with the TV and even came around and dug a few flat steps in the snow outside the door to make it easier for us to walk in and out. This was the 2nd year in a row we have stayed at Crested Mtn Unit C1. It is by far the most convenient location we have ever had in 30 years of ski vacations. Our kids and grandkids don't want to go anywhere else. Christina and CJ were very friendly, helpful and professional -- again, as good as we have ever had. This was our 3rd year in a row at Crested Butte, and once again the snow was great and the weather was great. The people working there [tickets, equipment rentals, ski school, adventure park, etc.] are friendly and the whole atmosphere is so much more relaxed than at the bigger resorts. We also enjoyed the town of Crested Butte, with its shops, galleries and variety of eating places. We will definitely be returning to Crested Butte. This was one of the easiest and accommodating reservations I have ever made! They are top notch! Fantastic location, amazing house, clean and updated very nicely! We would 100% stay here again! Loved it! I worked with Christina and she was very helpful in getting reservation made. Thoroughly enjoyed working with her. Myself, my parents, my fiancee, and her parents and brother all went up for 3 day weekend and were thoroughly impressed with the property! Everyone had there own bedroom with several beds to spare. 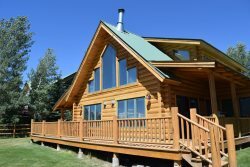 This is the only property that I'll book when I visit Crested Butte. Love your team. Very responsive and check in / out were easier than comparable properties. We loved Karla's Cottage. The location is ideal, the town bus stopped about 30 feet from the front door. The owner's rehab and attention to detail in design, decoration and outfitting the house are superb. This is a fantastic property for a family vacation. The staff was very friendly while booking the property and changed the required minimum nights so that the rental would work for our group. They were extremely nice and gave some great advice for where to eat when we stopped by the office to sign the paperwork. The property was much larger and nicer than it had looked on the website. There was a lot of room for people to sleep and not feel like a bunk house. There was also a lot of room in the common areas. The steam shower of this property was probably the favorite among the group, especially after a day of hitting the mountain. The house was a nice size for 10 people and it never felt too crowded. The view of the stars from the cul-de-sac in front of the property was breath taking. I have hardly ever seen stars as clear as we did the nights we stayed. The house stayed very warm even when the temperature was -25. MANAGER RESPONSE: Scott, it was so nice meeting you and your friends when you stopped by the office. We're happy to hear that Trent Jones exceeded your expectations. Come back and stay with us anytime! Rebecca was very responsive and took care of our needs. Great home that we will return to. They were extremely helpful and answered any questions I had. We had the time of our lives and I could not have asked for better accommodations. Location was perfect! The house was situated on the golf course and had amazing views from each window and the deck. The house was beautifully decorated and very comfortable. We couldn't have imagined anything nicer!